Thanks to all helping the angels! 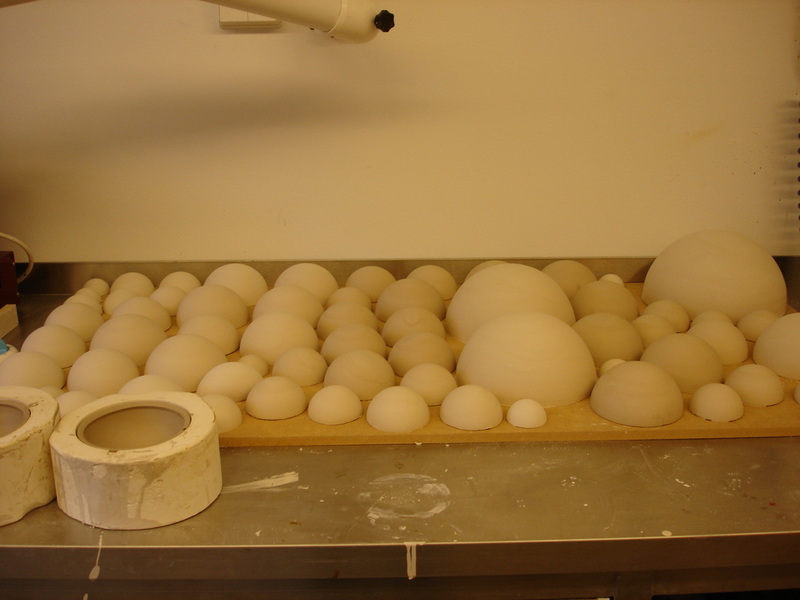 Plaster molds with castings of porcelain hemispheres. 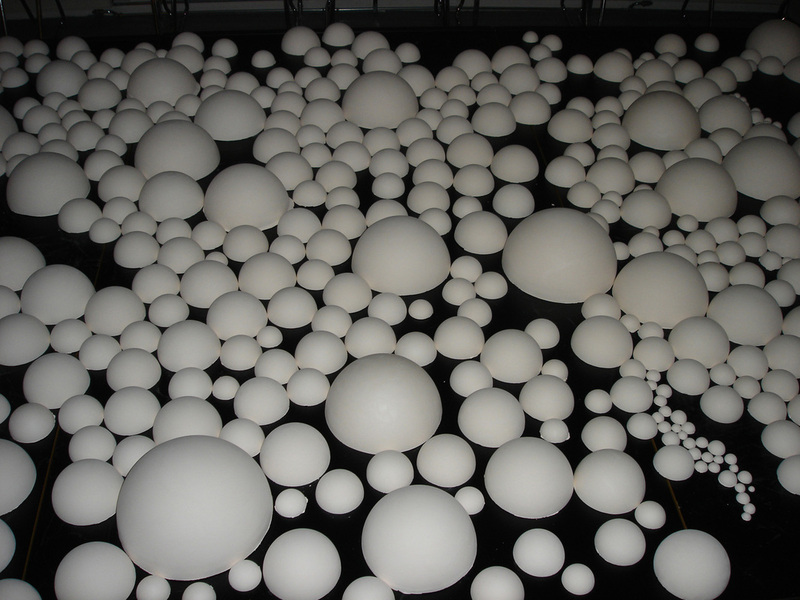 Porcelain Hemispheres in the first drying phase. 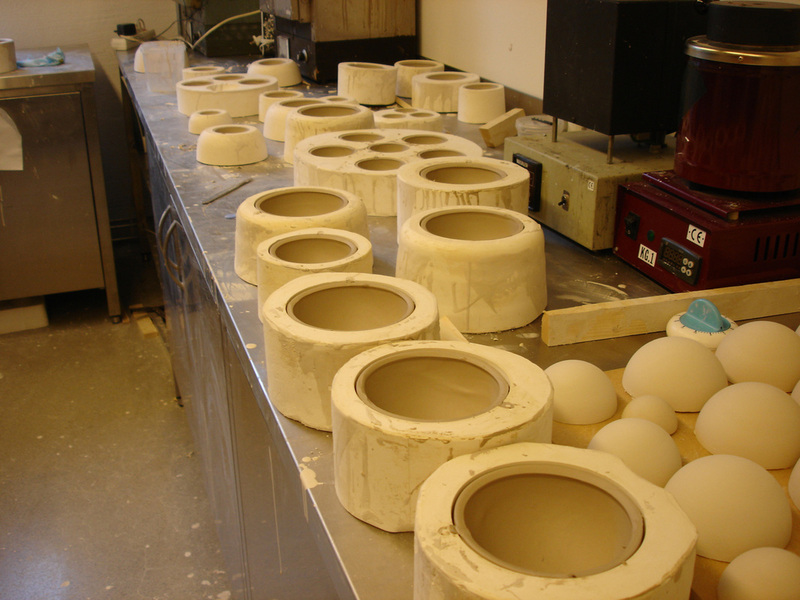 Porcelain hemispheres after the first fireing. Pattern test. I was often asked how many hemispheres I had cast, but I took no time to record the number. It was always important to have an excess of hemispheres, so I took care to cast too many. I can not thank Mina Boassen enough that she helped me sanding all these hemispheres! 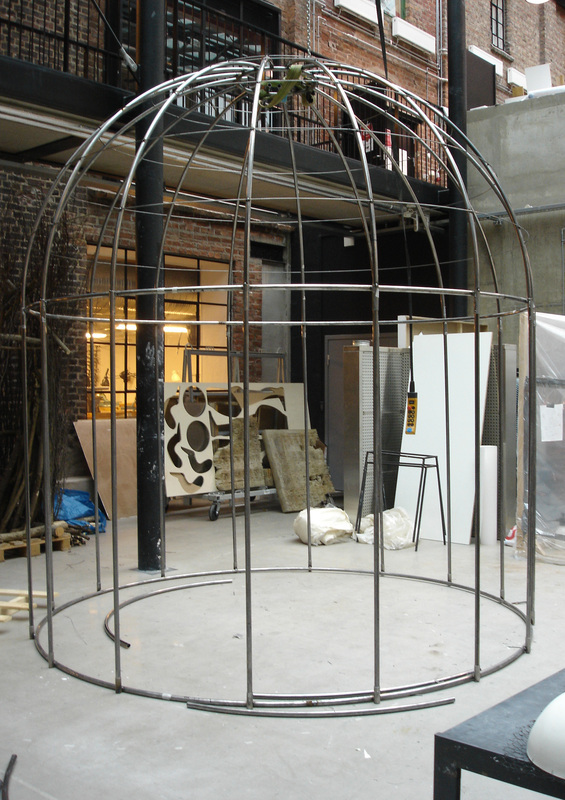 The Dome skeleton under construction. The first test of the entire construction. Was quickly renamed " the bird cage". 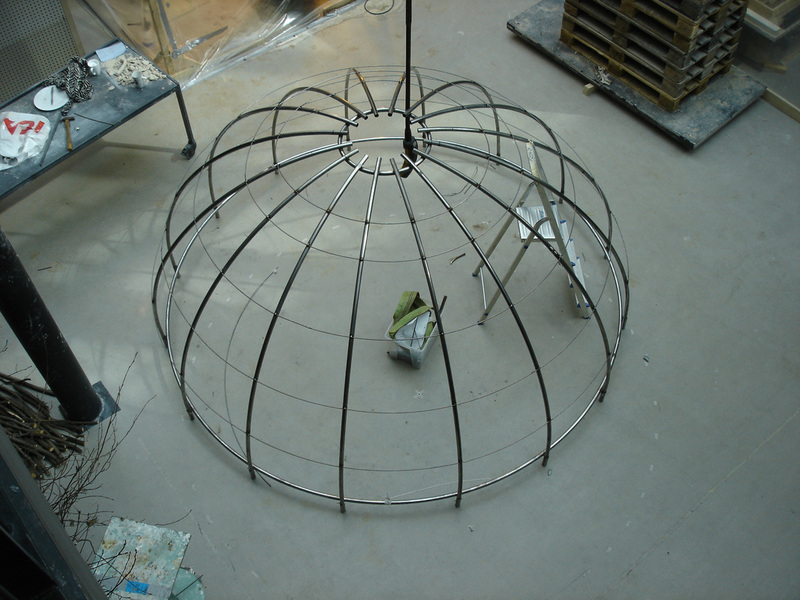 The first construction of the hemisphere- sheets fore the dome. 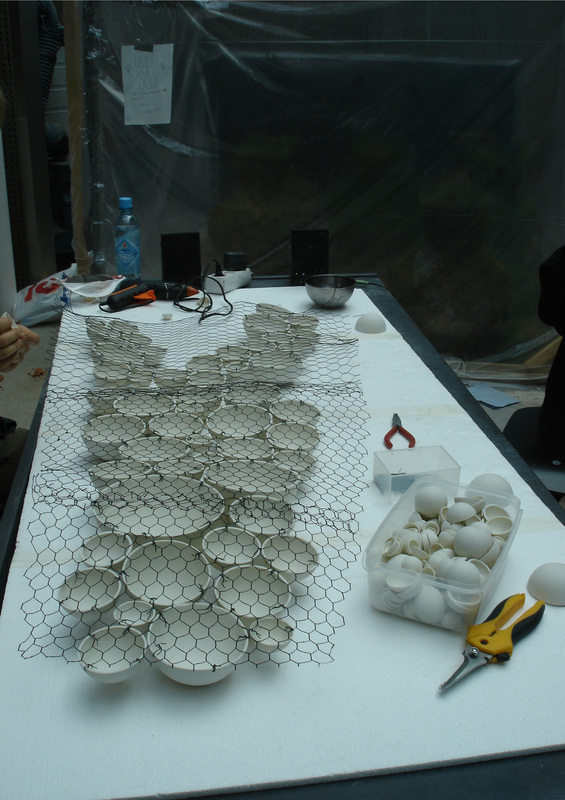 Security was very essential therefore were drilled holes in all the porcelain hemispheres and they were attached tothe black painted chicken wire with more wire. In that way, each attachment point ended up separat from the other and if one should break at least two other points would hold. No hemispheres had less than three fixing points. The large hemispheres had significantly more. The workload became so great that I had to seek help. 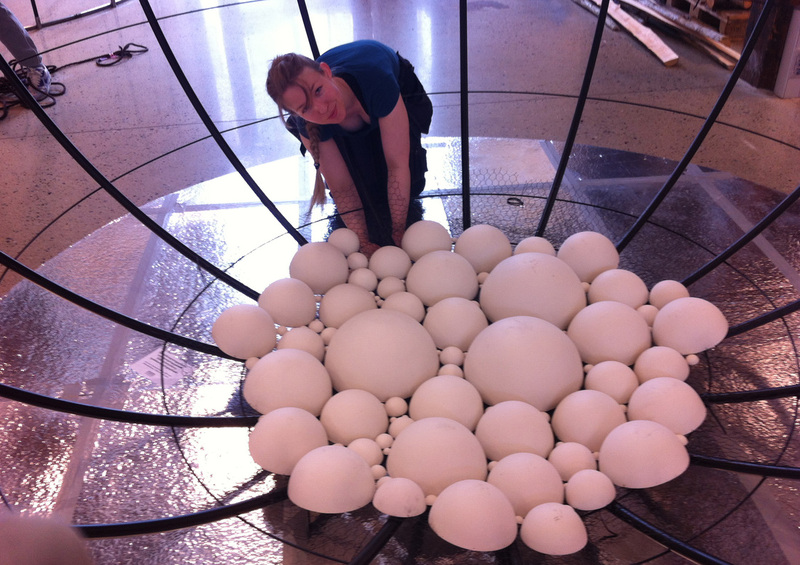 I hired Mina Boassen as assistant to get all hemispheres polished befor the second time burning. Later, several friends of mine to roll up their sleeves. 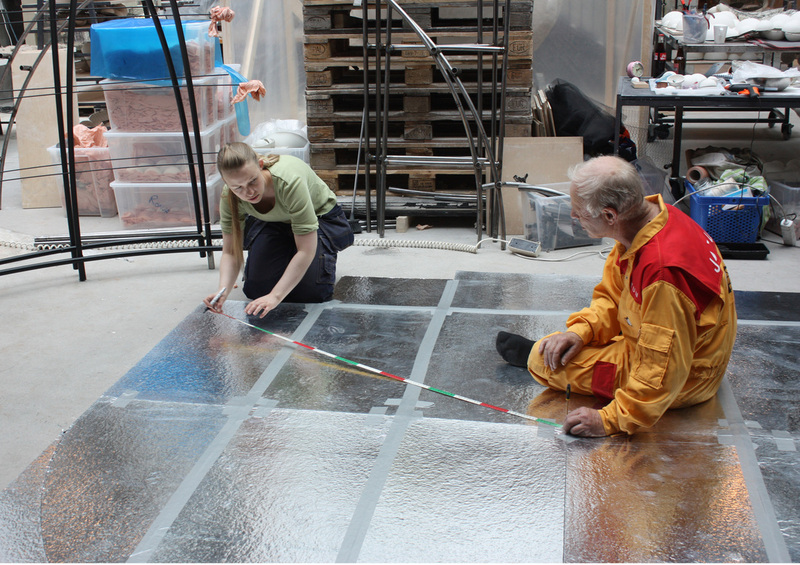 Here sits Teresa Lewoc and helps out with the hemisphere- sheets. Teresa deserves a medal for faithful service. As you know Teresa, I would roll up the sleeves for you whenever you need it. I can wade in mud or make sandwiches, just ask. 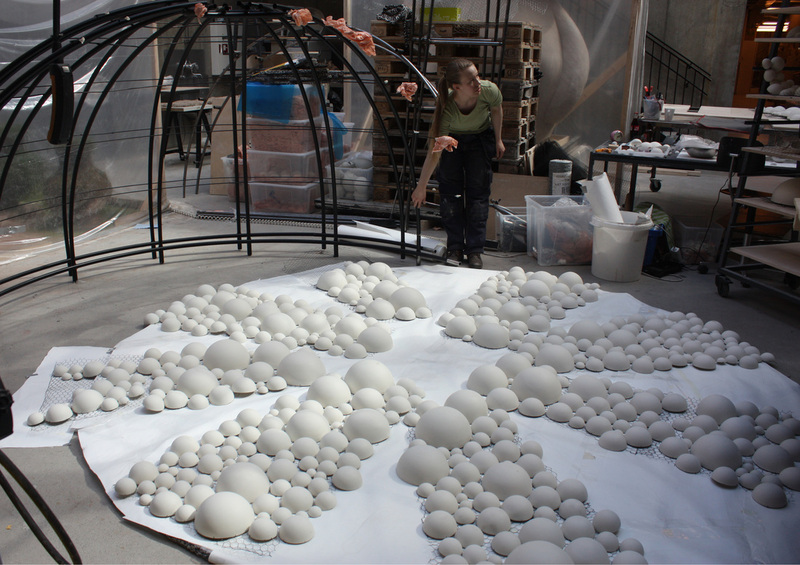 hemisphere- sheets for dome vault finished. It would be sixteen such in total plus the large center circle to cove. Here I had to use the mindset I use when I'm designing clothes to get all the pieces to fit together. Pappas expertise was also needed. My own Cunning Artificer who always helps when I ask about solutions to peculiar technical problems. 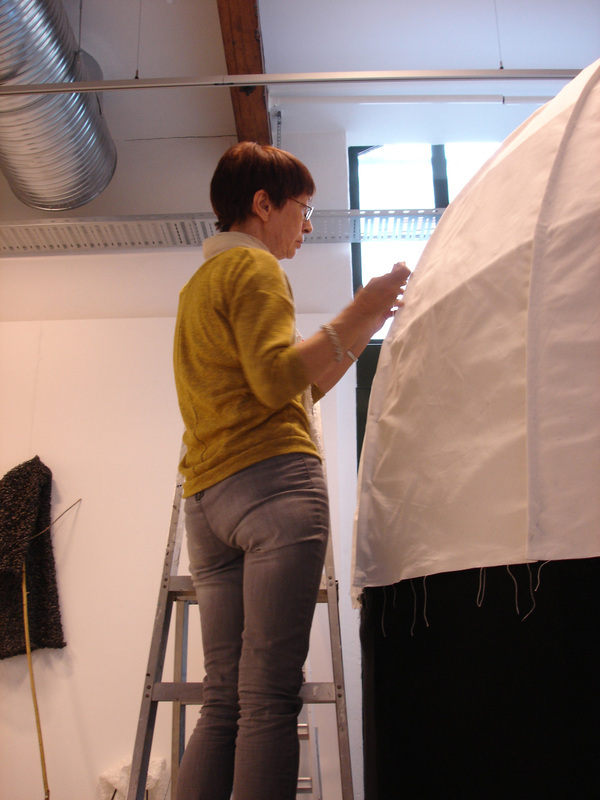 The Black painted dome in place in the gallery. It was divided in to to halfs, to get it through the doorway. Here put it back together. 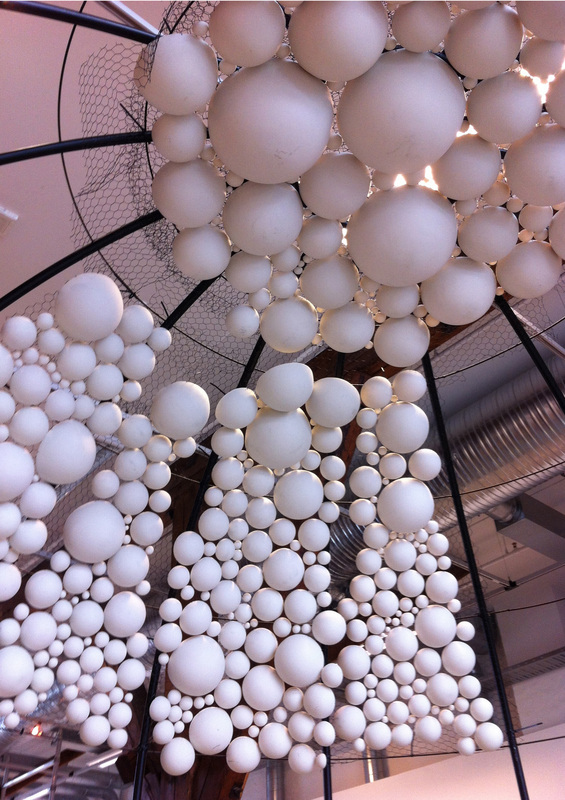 The entire dome was designed as a construction set due to practical considerations. The large center piece of the hemisphere- sheets was secured in place before the dome was turned around lifted into place. Some hemispheres had to be attached afterwards because there were some holes in the "hemisphere- sheets" at the seams. It helps Freja Bruun me to unpack. When the different "pattern parts" with hemispheres where to be fixed in place it was absolutely crucial to be two. One on the inside to hold the "hemisphere- sheets"upp and one on the outside to attach the strips. 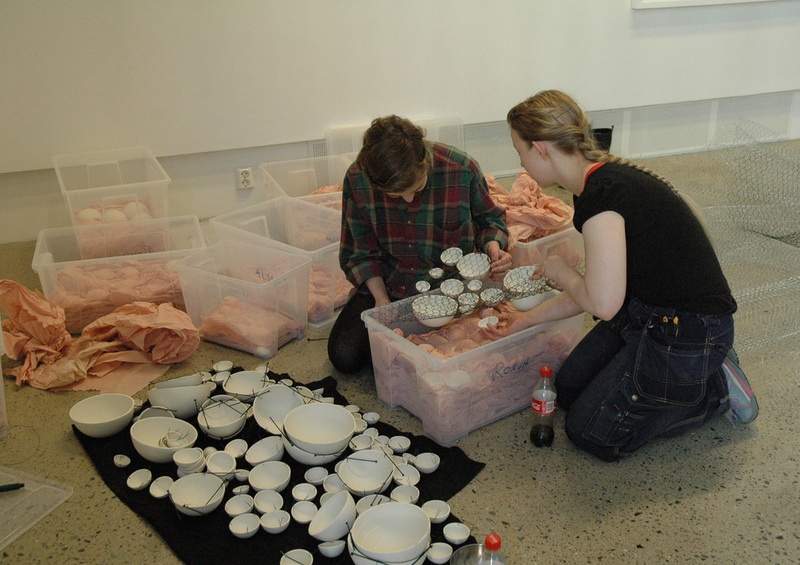 Here is Maylinn Mollan and Teresa Lewoc at work. 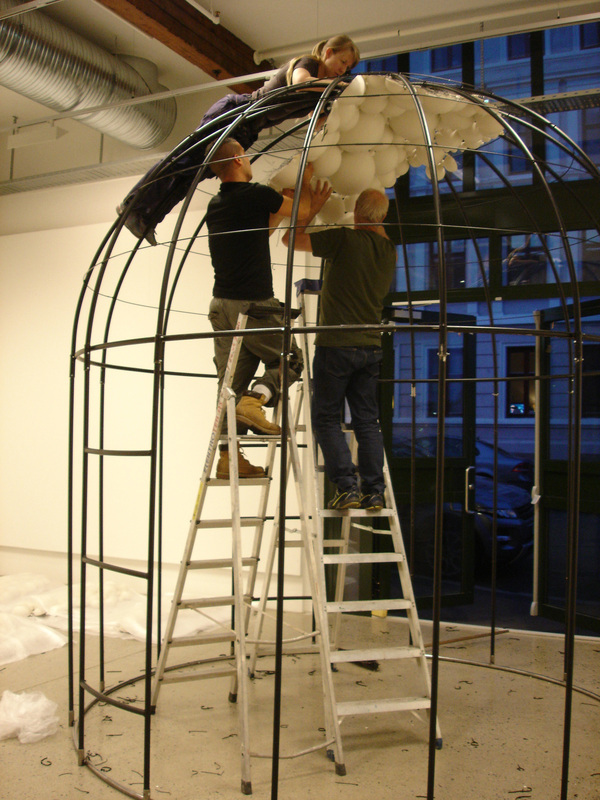 Finishing touches the dome vault. Nice to not suffer any fear of heights. 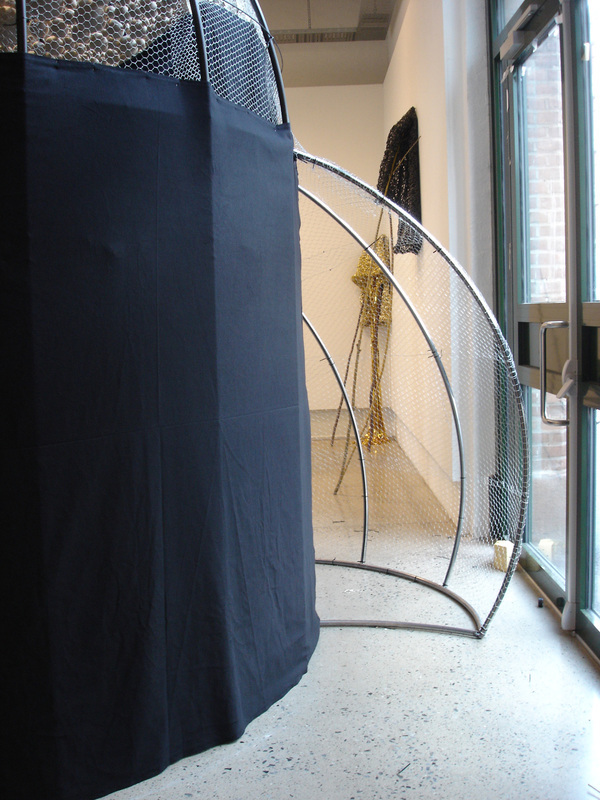 The entrance put into place with an extra skin of chicken wire. 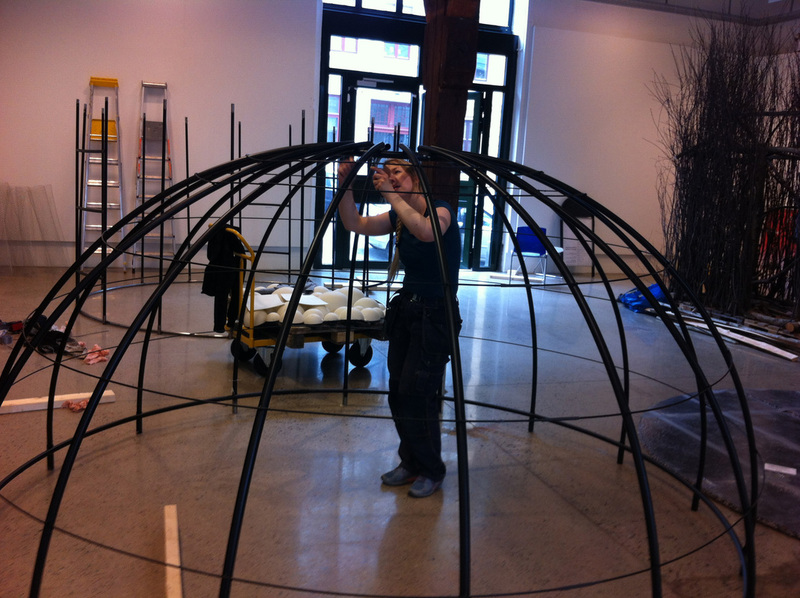 The entire dome was a layered with chicken wire and an inner layer of sound and light proof fabric. 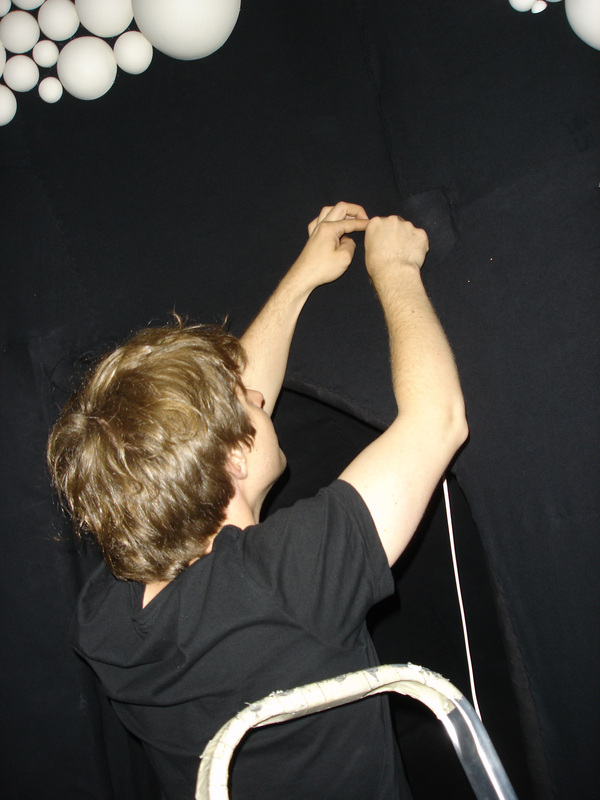 On the surface was then pulled another layer of the same black fabric to make light insulation fore the inside. 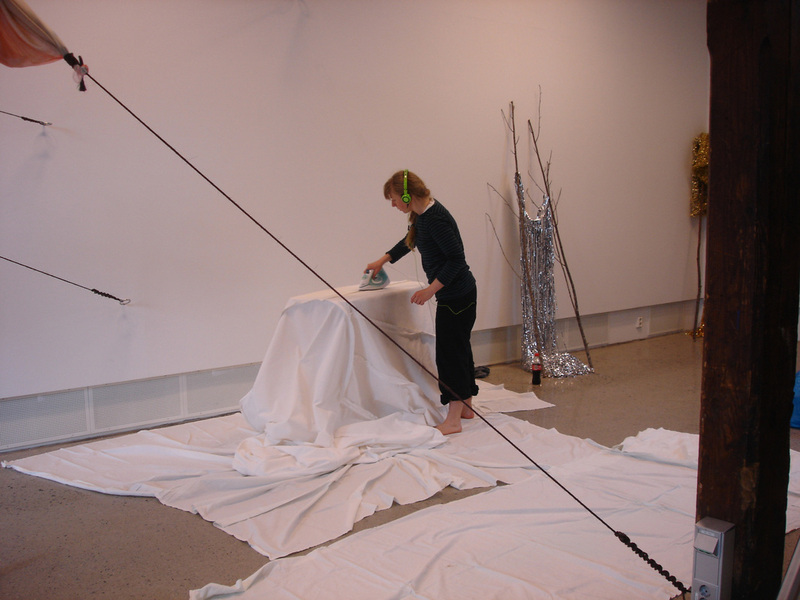 Two other of my helping angels were Maren Sigfridstad and Adham Almassri, who stayed with me into the night before the opening. 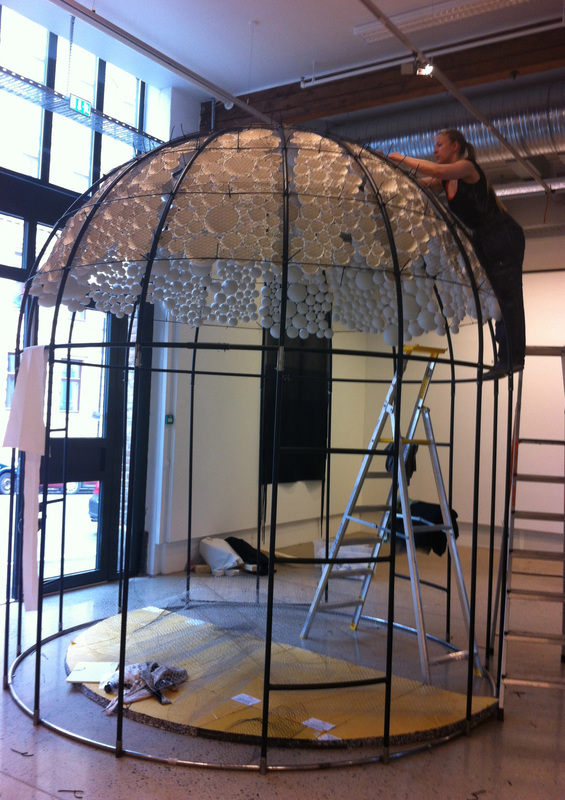 Øystein Pedersen helped me with the LED- lights. 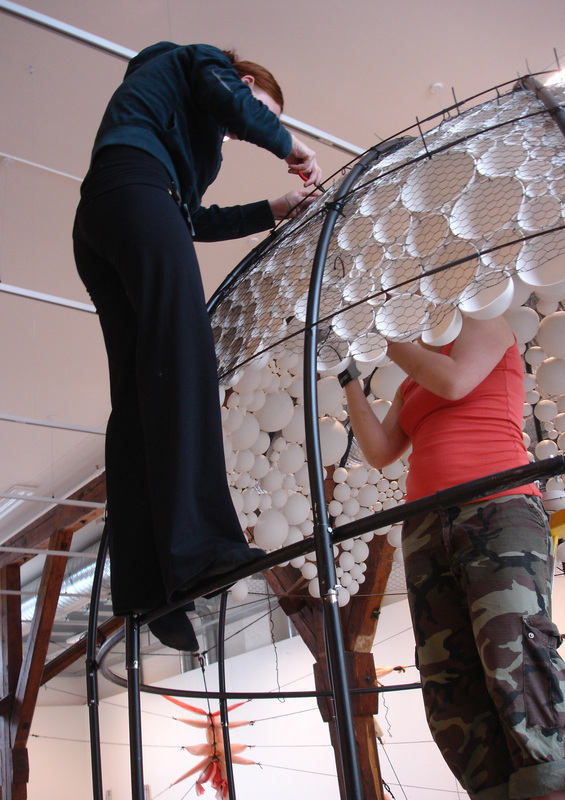 The Installation of lights and programming the light cycle. Once, when I grow up I'm going to teach my self everything he knows. Mum's expertise in sewing ensured that things finally hung together. Next time I do this I'm going to create a new outer cover, as this material I had chosen turned out to be less cooperative. 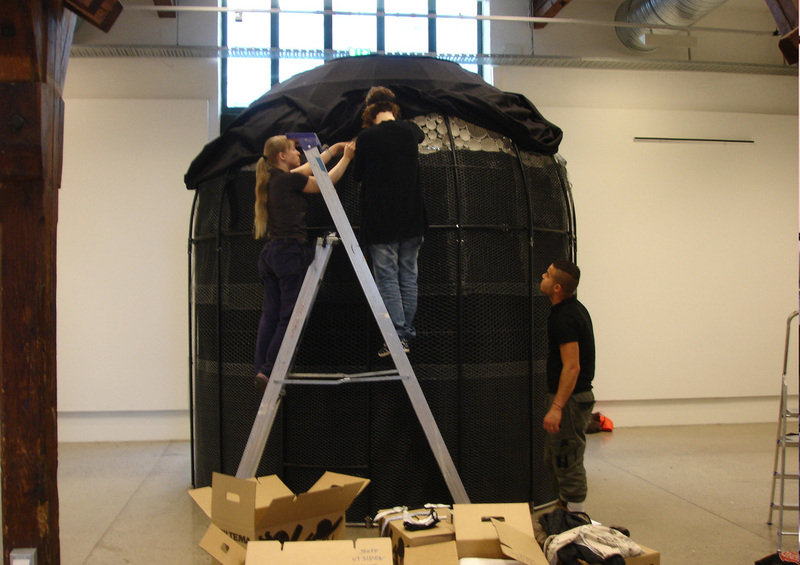 A week later, after the exhibit, it took five of us and four hours to dismantle and pack everything. That's was all for now.